Trading and investing are two different things which confuses lot of beginner investors. 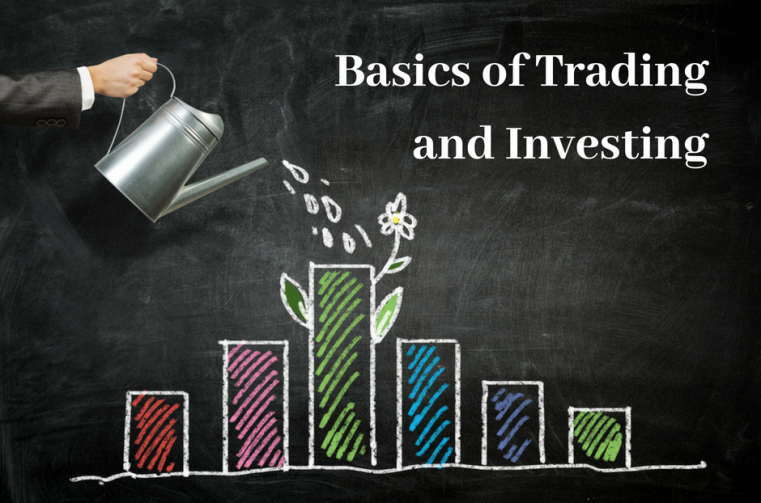 In this article I’m going to tell you what is trading and investing and how they are different from each other. NIFTY and SENSEX are the Index, they are the indicator of how Markets are performing. An Index is created for measuring a particular section of stocks. When the Index goes up or down, they represent the group of Stocks they comprise of. So if an Index is up you can say with high probability that most of the stocks under them have done well. There are many Stock Exchanges in INDIA, BSE (Bombay Stock Exchange) and NSE (National Stock Exchange) are most famous and biggest of all and with maximum business happening there . Nifty : Nifty is the Index of NSE. Nifty has 50 biggest companies of India representing the companies from almost all of the sectors, Each stock has there own weightages. Like Reliance, Infosys have High Weightage and Ranbaxy has less. Sensex : Sensex is a Index of BSE, It is comprised of 30 shares. What are different Indices on Exchanges? There are different kind of Indices on Stock Exchanges like for NIFTY. Each Index represents a sector or a group, if you track a Index you can understand how the sector is performing overall. What is difference between a Trader and Investor? Trader : A Trader is a person who tries to earn profit from small movements in price, there time horizon is very small like 1 day or a week or some weeks. For example, A trader will buy something @100 and will sell it at 105 and make a profit of 5. He will try to take advantage of volatility. His main tools will be Charts, News, sector outlook for short term etc. He will not concentrate much on Company fundamentals, Long term sector outlook. Investor : A Investor is someone who tries to invest money for long term. Long term can be anything from 1 year to 10-15-20 years. Investor is more concerned about the fundamentals for the companies, its growth and factors like those which are going to drive the share price in long term not short term … Investor is not concerned about the short term volatility. There focus is long term. Trading is one of the toughest things to master. Its a better idea to first learn and read about Trading for some months, Watch the markets for some months and try to paper-trade first. paper trade means just trading on paper and seeing how you perform. Read about Technical Analysis also. Try to gather more and more info on Trading. Read good Books and Learn as much as you can. Knowledge and your intelligence has very less contribution in your success as Trader. The main things are Money Management, Discipline, Control over GREED And FEAR, and Risk Management. Once you are very confident you can start, Start with very small Cash and take big bets only when you have made some progress to cheer about. Have a plan and targets for your Trading. Take Trading seriously as your business and not as hobby, else with high probability you will Fail. Should you be a trader or an Investor or nothing? It depends on your personality, the time you want to give in this and your goals. If you find fun with dealing in markets in short term basis, Be a trader. If you can devote time to markets in daily or weekly basis, then you can be an Investor. It was a fast written post, I hope thing are clear. There are so many complaints against share brokers & DPs doing all types of mischiefs with investors. Specially with investors of online trading. How to cope up with this problem? Also suggest name of some brokers $ DPs of good repute & honest working. Investors are ready to pay the legible fees & dues then why these people go wrong & unjustified way? Small brokers have access to your accounts and they have the power to do transacation on your behalf . So better would be to make sure that you go with reputed names only like ICICI Direct or Reliance Money etc ..